Several people I know love cemeteries. Not really for their morbid curiosity but more for their beauty and history. I’ve been fascinated with cemeteries and mausoleums most of my life. 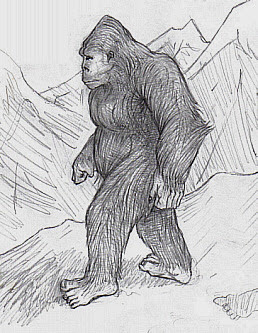 In the past eight years that interest has peaked because I am a paranormal investigator. 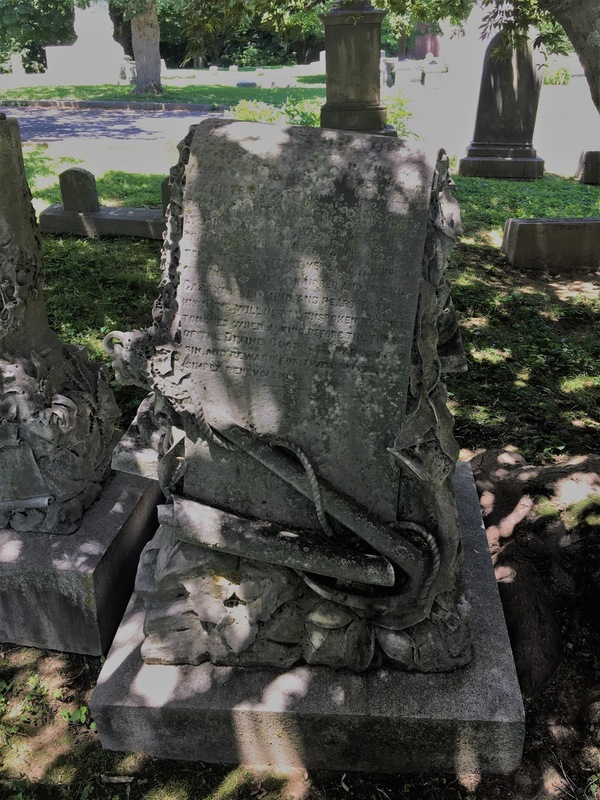 Our paranormal team, Dusk 2 Dawn Paranormal Investigations, went on a trip to Louisville, Kentucky in June 2018. The trip was to investigate Waverly Hills Sanatorium. However, four of us drove out to Louisville a day early and had some time to look around. 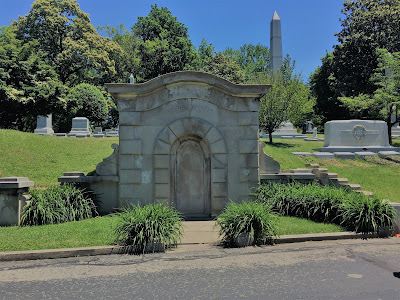 The one tourist site that grabbed my attention was Cave Hill Cemetery, so Jerry, Adria, and I headed off to check it out. Huge monument to the Garvin family. Cave Hill Cemetery is located off Highway 64 at 701 Baxter Avenue, Louisville, Ky. It is 297 acres of beautifully landscaped hills. Upon entering the cemetery, one is immediately taken with the beauty of the winding roads, trees, shrubs, and monuments. It’s obvious that it is an old cemetery because of all the mature trees and shrubs. The monuments are huge and amazing. 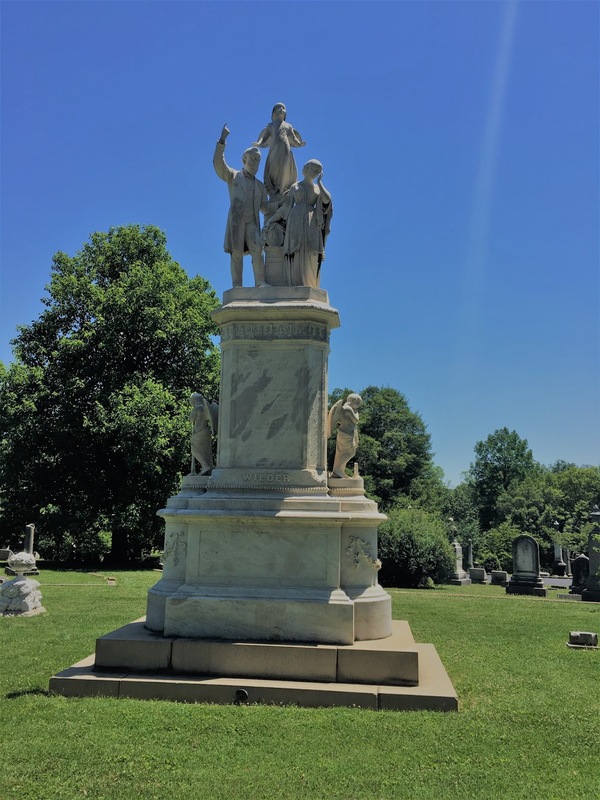 Cave Hill Cemetery started out as a farm that the city inherited in the 1800’s. In 1846 Edmund Francis Lee convinced the city to turn the beautiful farm into a cemetery. 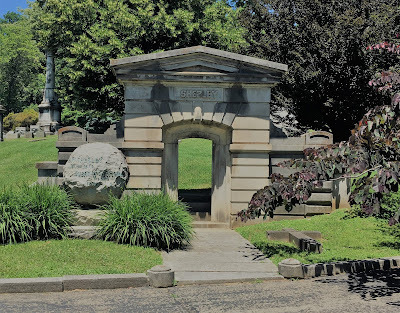 At the time garden cemeteries were being created all over the United States and Lee suggested that Cave Hill’s topography was perfect for a garden cemetery. Many infants died in the 1800's. This beautiful monument is in memory of the Edwin baby. 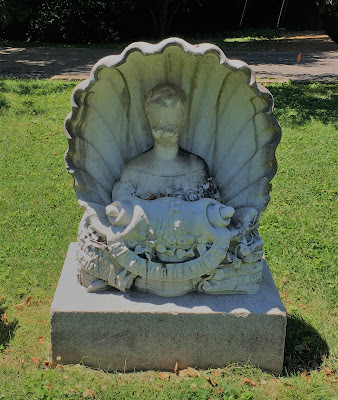 This family monument is a definite indication of their extreme wealth. This was perfect for families living during the Victorian period. Many families were wealthy due to the ground floor opportunities they were given. These wealthy families enjoyed flaunting their personal wealth. 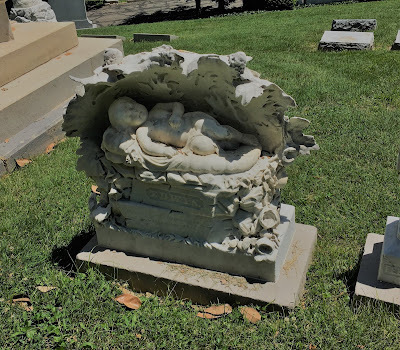 This shows in the grand monuments of Cave Hill Cemetery. 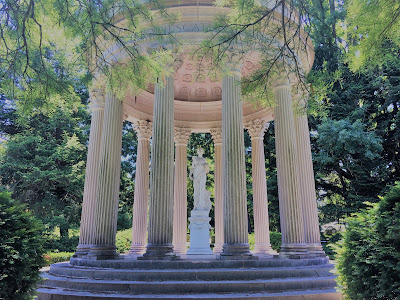 These monuments not only memorialize the deceased but many lists their accomplishments in life. This monument is so worn that I couldn't read it. I did find it interesting due to the scroll and anchor. 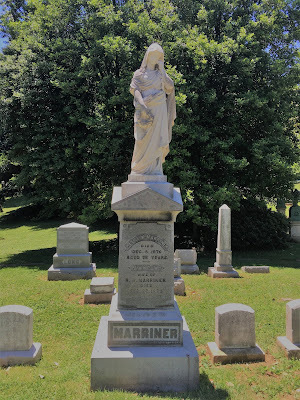 The Vanbuskirk family monument is built into the hillside. 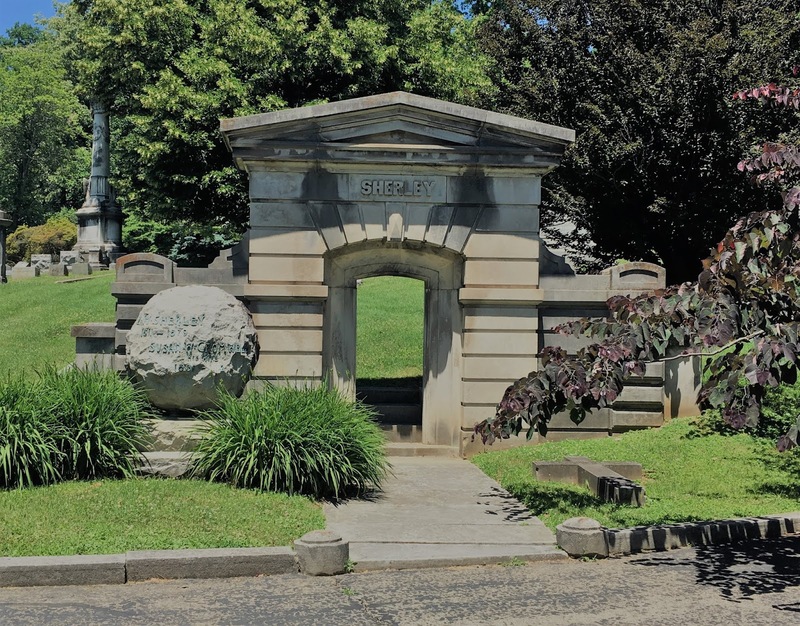 The best way to see the cemetery is to drive a way, then stop, and get out and walk around. 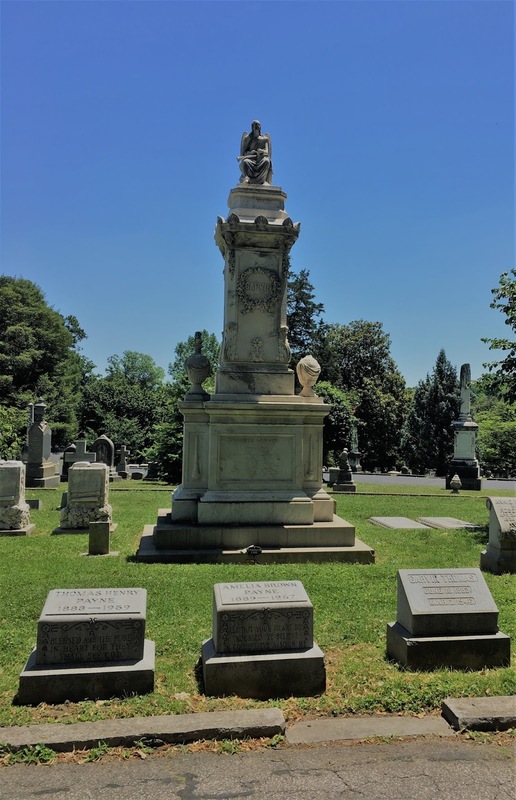 There are so many beautiful monuments, statues, and mausoleums that it is impossible to see them all. We only had time to see one third of the cemetery but what we saw left me wanting to go back. 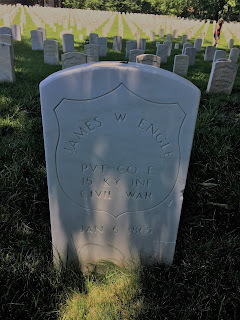 Part of the Civil War soldiers graves at Cave Hill Cemetery. In one area of the cemetery are the graves of soldiers. Many are from the Civil War, some sadly are unknown. When we drove upon this area and walked around our moods became somber. Seeing so many headstones, especially of those unknown soldiers broke our hearts. One can hear casualty numbers but walking among the headstones brings it to life. There are over 5,500 military graves in Cave Hill Cemetery. 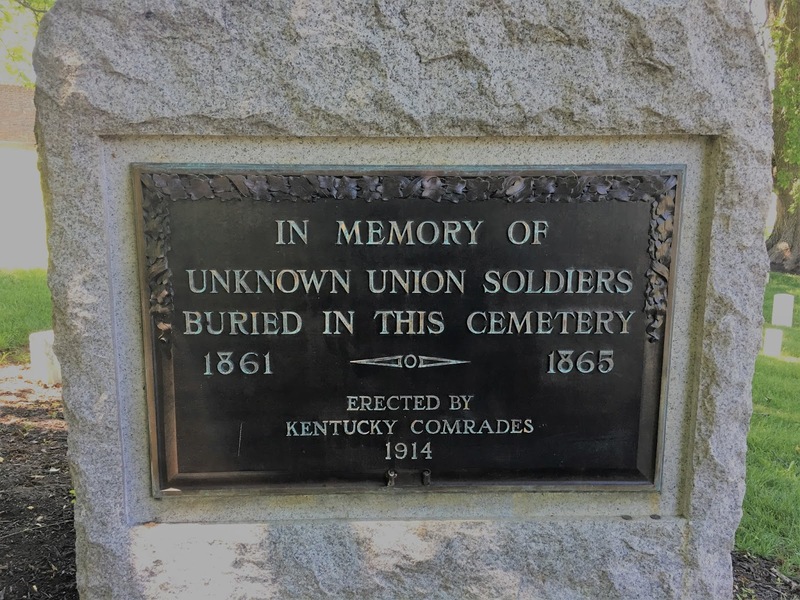 There are over 500 unknown soldiers from the Civil War buried in Cave Hill cemetery. We drove around to find one of the lakes in the cemetery. It was loaded with geese and ducks. We stopped to gather goose feathers which can be used when cleansing a house. This is an awesome place for water fowl and we discovered that residents come out to feed them on a regular basis. We drove around the lake to the main building and found a local couple feeding the ducks and geese. Talk about bedlam! Two geese actually got into a fight. They had each other by the shoulder pulling and tugging with their beaks. One finally ran off while the other spit out feathers from it’s mouth, reared up his head and flapped his wings to show off his moment of glory. It’s crazy how animals are a lot like people. This was the largest lake at Cave Hill Cemetery and a favorite of the geese. The geese greet everyone who stops at the lake. They are also very assertive getting their share of the food. 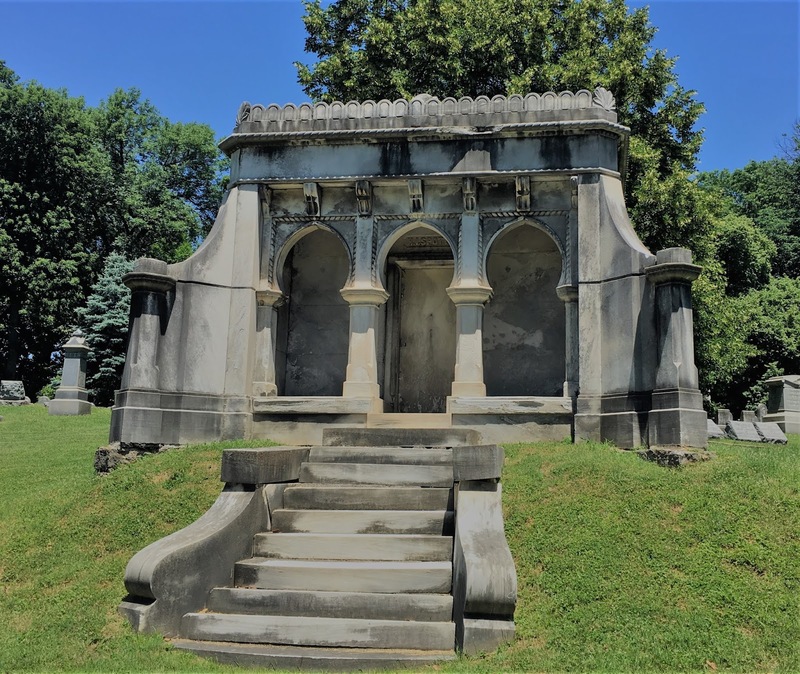 There are two very famous people buried at Cave Hill Cemetery, Muhammad Ali and Colonial Sanders. We didn’t find this out until later or we would have looked them up. 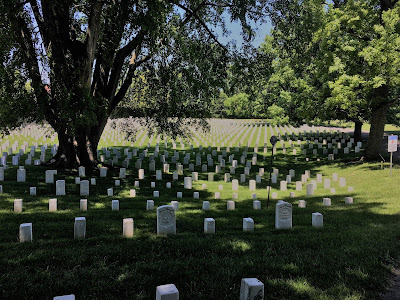 Most of the graves and mausoleums we saw were turn of the century barons who ran mercantile companies, lumber mills, and other industries. Several were politicians who made Louisville what it is today. Unique monument for Minnie Harrison Hoyt. This Greek style monument is amazing. The detail in the ceiling is incredible. I know a cemetery isn’t on most people’s list of places to visit but Cave Hill Cemetery is certainly worth taking a couple of hours to visit, even if it’s just driving through it. It is a gorgeous place and the monuments are amazing. 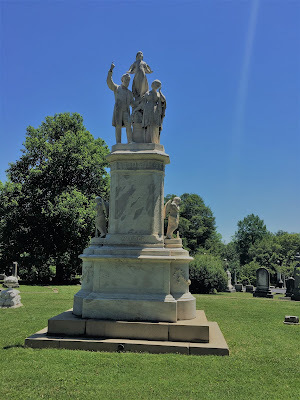 So, if you’re ever in Louisville, Kentucky and have some extra time, drop in to Cave Hill Cemetery and see for yourself how beautiful a cemetery can be.